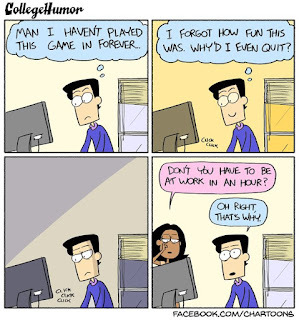 Danny Izquierdo, a 22-year-old who lives with his parents in Silver Spring, Md., has found little satisfaction in a series of part-time, low-wage jobs he's held since graduating from high school. But the video games he plays, including "FIFA 16" and "Rocket League" on PlayStation and Pokemon Go on his smartphone, are a different story. Izquierdo represents a group of video-game-loving Americans who, according to new research, may help explain one of the most alarming aspects of the nation's economic recovery: Even as the unemployment rate has fallen to low levels, an unusually large percentage of able-bodied men, particularly the young and less-educated, are either not working or not working full-time. Most of the blame for the struggle of male, less-educated workers has been attributed to lingering weakness in the economy, particularly in male-dominated industries such as manufacturing. 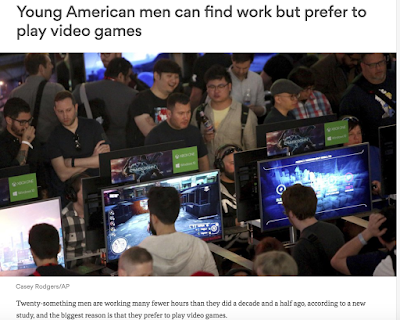 Yet in the new research, economists from Princeton, the University of Rochester and the University of Chicago say that an additional reason many of these young men — who don't have college degrees — are rejecting work is that they have a better alternative: living at home and enjoying video games.